San Diego's Museum of Photographic Arts in Balboa Park is transforming into a cross-border artistic sampling for the senses on Wednesday, March 30, from 7-10pm with its new Eat4Art event. In partnership with The Kitchen Project, Eat4Art will bring more than 10 revered chefs, including Javier Plascencia and Sabina Bandera, and Baja’s best wineries for an interactive art experience that highlights Flor Garduño: Trilogy exhibit. Featured photographer Flor Garduño will be a special guest at the event, mingling with the crowd. 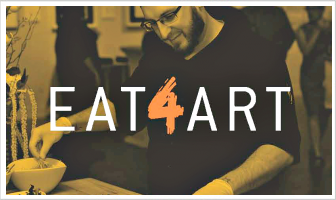 At the Eat4Art event, guests will receive full access to the food stations dotted throughout the museum with culinary creations from many amazing chefs, as well as wine and beer tastings. In addition to the food and drink stations, guests will also have the opportunity to enter drawings and bid in a live auction for a range of exceptional prizes, such as a dinner at their home by a featured chef or a wine tasting in Valle de Guadalupe. 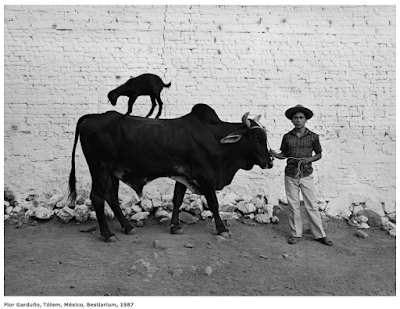 Continuing MOPA’s multiyear celebration of Mexico, Eat4Art captures the universal language of photography in the San Diego and Tijuana cultural arts communities with global artists and culinary partners. This supports the museum’s global initiatives with proceeds benefitting MOPA as a leading center for visual learning. “The Kitchen Project is excited and honored to showcase at MOPA the best of the best in the culinary, pastry and wine world from both Baja California and Southern California,” said Josue Castro, founder of The Kitchen Project. Participating chefs and restaurants serving at Eat4Art include Javier Plascencia (Bracero), Sabina Bandera (La Guerrerense), Dulce Romo (Butter Bakery), Elsa Flores (DolceSalato), Marco Marín (El Cielo), James Montejano (La Valencia Hotel), Miguel Valdez (The Red Door), and many more. Beverages will be offered by Baja Wine + Food, Aldo Cesar Palafox, Alximia, Border X Brewing, Claudius, Las Nubes, Vena Cava, Vinos Maga and others. Tickets to Eat4Art are $175, and drawing packages are $20 for five tickets. Both are available online at MOPA.org/Eat4Art.